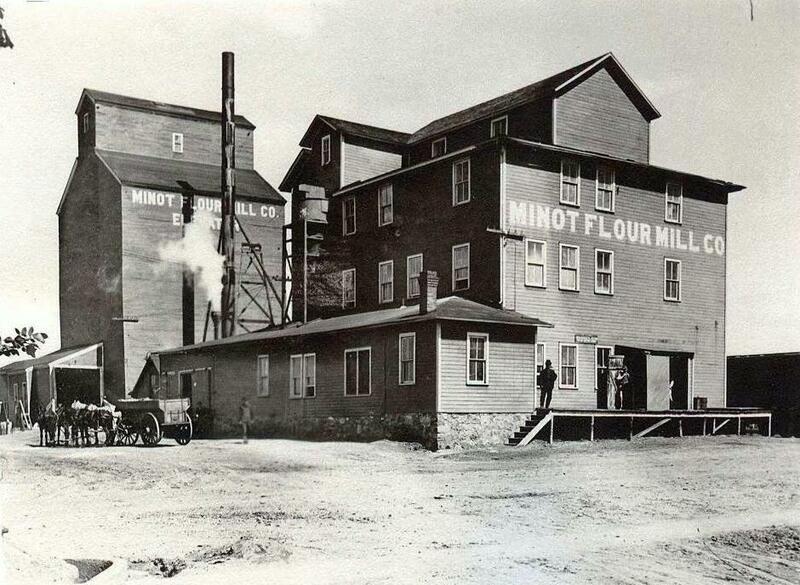 In 1904 a group for Minot businessmen, including Erik Ramstad and Alfred Blaisdell founded the Minot Milling Co. In 1904 the property was sold and the name was changed to the Minot Flour Mill Co. A grain elevator was added next to the flour mill.. the flour produced and sold was know as “Snow White Flour”. The complex was on the north side of the railroad tracks near the Souris River. At one time the mill consisted of a central, four story building,. Two warehouse extensions were added. One of the east and one on the west side of the main building. An office additions was built later. This complex was later known as the Russell Miller Milling Co.